The Tesla Semi appears to be maintaining a notable level of interest among its reservation holders. Take grocery giant Albertsons, for one. As could be seen in a recently shared announcement from Safeway corporate (one of Albertsons’ subsidiaries), the company seems to be preparing to showcase the all-electric long-hauler to some of its CA employees this coming Wednesday. 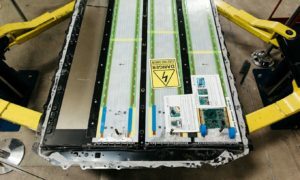 An image of Safeway corporate’s memo was recently shared on the r/TeslaMotors subreddit by Tesla enthusiast u/MGC1987, who noted that the demo would be held at the retailer’s Tracy, CA Distribution Center. 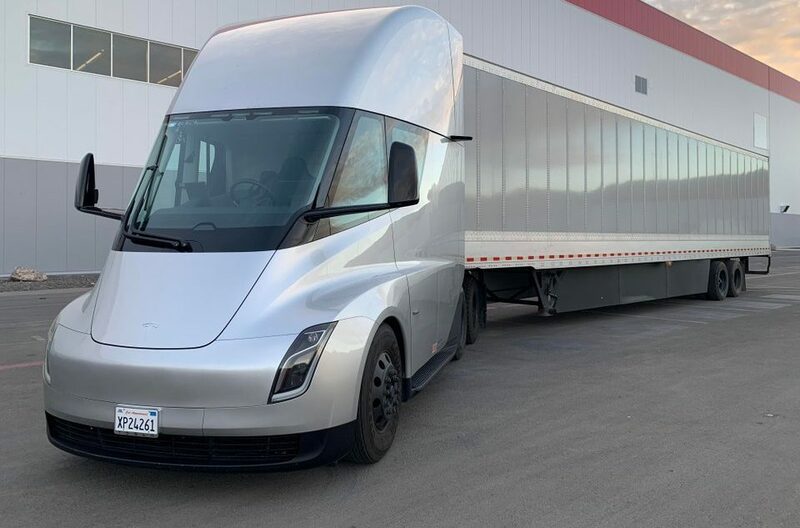 Apart from referencing demos of the vehicle by a team from Tesla, the announcement also noted that a number of Safeway drivers would have the opportunity to test drive the Semi. Albertsons is among the United States’ largest grocery chains. The grocery giant is among the Tesla Semi’s more recent reservation holders, placing a reservation for 10 of the vehicles last month. The company’s Tesla Semis would join its growing fleet of trucks, which currently number more than 1,400 nationwide. Albertsons did not provide the specifics of its orders, though references to the Semi’s 500-mile range in a press release suggests that the company had purchased the long-range version of the vehicle. Tom Nartker, Safeway’s VP of Transportation, noted that the company’s purchase of the Tesla Semis is part of Albertsons’ ongoing efforts to reduce its carbon footprint. “Advancing supply chain efficiency and sustainability is an important goal for our company. We’re excited to pilot this expansion of our transportation program with trucks that help us limit our overall carbon footprint,” he said. 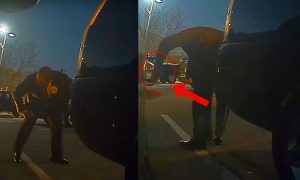 Demos of the Tesla Semi to employees of reservation holders have been conducted in the past. Earlier this year, social media was briefly saturated by images uploaded by employees of JB Hunt, a trucking giant with a fleet of 12,000 trucks and over 100,000 trailers and containers. 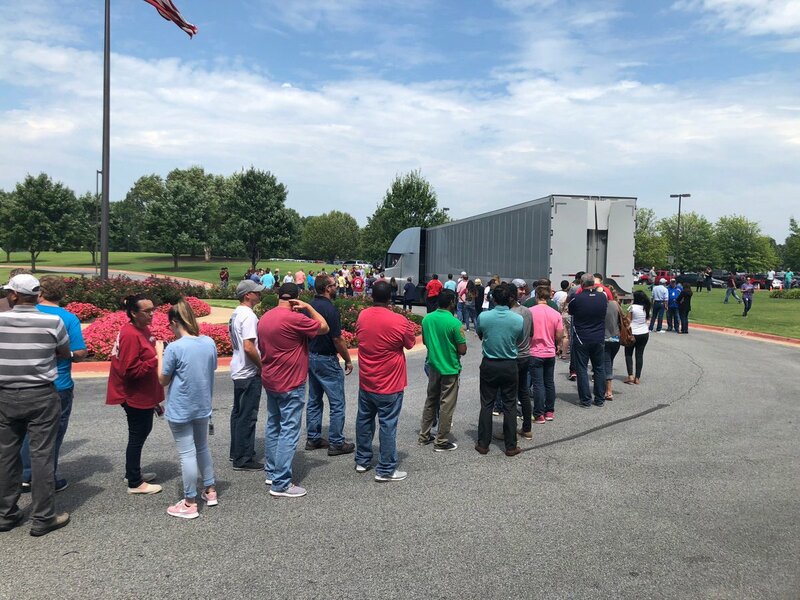 Pictures taken of the Semi’s visit to JB Hunt’s headquarters show lines of employees interacting with the vehicle. Not long after that, the Semi also paid a visit to UPS’ hub in Addison, IL, where some employees from the package delivery company seemingly took a test drive on the electric long-hauler. 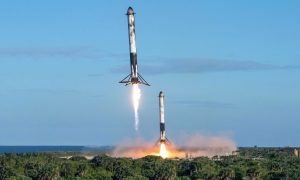 Elon Musk noted during the Semi’s unveiling that the vehicle would likely start production sometime in 2019. Since the electric truck’s unveiling, though, Tesla has remained tight-lipped about the location where the Semi would be produced. 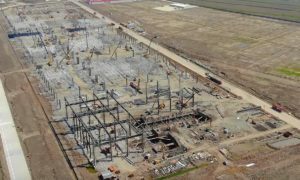 The company appears to be taking a rather conservative stance with its estimates on the Semi’s production too, as head of investor relations Martin Viecha reportedly noted during a tour of Gigafactory 1 that Tesla is planning on “earnestly” producing the all-electric truck by 2020. For now, Tesla appears to be set on refining the Semi before it enters production. 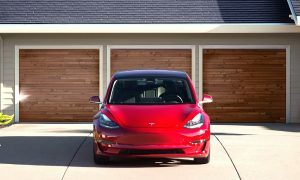 Over the past months, multiple sightings of the vehicle have been reported by the Tesla community, as the truck continued to get road-tested across the United States. A recent sighting of the vehicle at the iconic Madonna Inn in CA even gave a glimpse of the vehicle’s temporary charging system, which it currently uses in place of Tesla’s upcoming Megacharger network.